What does it say about the prospects for multi-billion dollar tar sands oil pipelines, that a national government felt the need to buy a project outright in order to try to save it? When Canadian Prime Minister Justin Trudeau decided to buy-out a failing tar sands pipeline from texas-based Kinder Morgan last month, it exposed the grim reality facing all remaining tar sands pipeline projects, including Line 3 and Keystone XL. Rather than restoring confidence to the oil and gas industry, the buy-out underscores the strong likelihood that none of these project are ever going to get built. Trudeau felt he had to buy-out the project because Kinder Morgan couldn’t afford to build it. Years of delays, regulatory hurdles, legal challenges, grassroots opposition and massive cost escalation meant that even if they ever somehow succeeded in moving forward, the company would likely lose money. 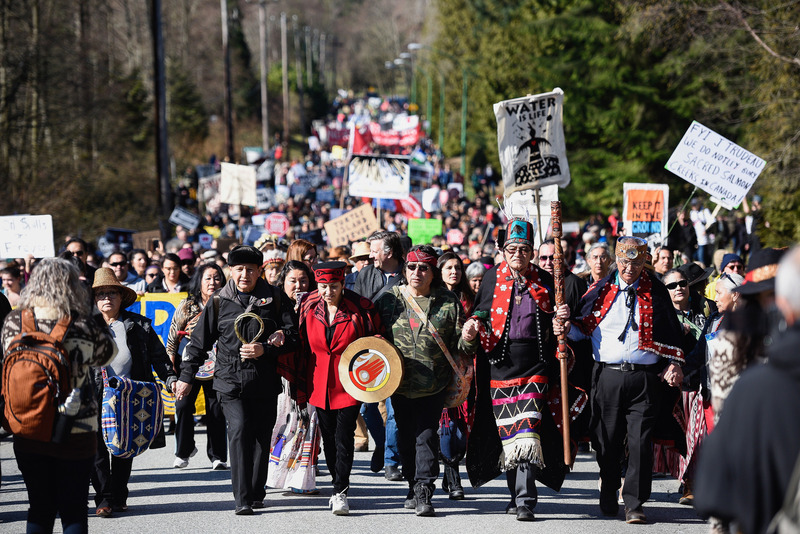 Kinder Morgan faced a massive and connected social movement working to affirm Indigenous rights, protect water, and fight climate change. Legal challenges were piling up. Local governments were opposed. International investors in tar sands expansion were running for the exits. There was no light at the end of the pipe for them. The story is similar for Enbridge’s Line 3 pipeline project in Minnesota and TransCanada’s Keystone XL pipeline in Nebraska. More than a decade of unprecedented and fearless resistance has changed the game. Where pipeline companies once saw easy opportunities to make money, as time has dragged on, the business case has steadily evaporated. Kinder Morgan, like its competitors TransCanada and Enbridge, are leveraged to the hilt with debt. Their investors expect big dividends each quarter. The prospect of trying to build risky projects which could cost upwards of $10 billion USD, with cash they would largely have to borrow, isn’t as attractive to investors as it once was. That’s likely one of the reasons neither of these companies have yet to make a final investment decision to build. In April, the judge making recommendations to the Minnesota Public Utilities Commission rejected Enbridge’s planned pipeline route across the northern part of the State. However, in spite of a lengthy explanation of why the project wasn’t needed and carried considerable risks for the water and the climate, the judge bowed to industry pressure, recommending what looks like a poison approval. If adopted, the recommendation would force Enbridge into a route which it has stated it doesn’t want along the existing right of way, which requires paying more to remove the old pipeline. In the face of extraordinary legal challenges and grass-roots resistance from Anishinaabe and Ojibwe water protectors standing up to protect their rights and territory, Enbridge could well be wondering if continuing to struggle is worth it. Line 3 was already expected to cost far more than originally planned, but being forced into a new route, with renewed opposition, could break the project. KXL has been the zombie pipeline project that just won’t die. But like it’s flagging competitors, it could be getting close. TransCanada picked the wrong state to mess with when it tried to force the project through Nebraska back in 2008, threatening to pollute the country’s most important aquifer and exploit the courts to take land. Ten years later, state opposition remains strong and immovable and the fight to stop KXL remains the sharpened edge of a continent-wide movement to stop tar sands expansion and other fossil fuel infrastructure from cooking the climate. After more than a decade of delays, cost-overruns and finally the project being rejected by President Obama on climate grounds, TransCanada had to eat a $2.7 billion write-down on the project. While Trump has recently attempted to offer the project a new greenlight – TransCanada has been less than enthusiastic about trying to build it. As with Minnesota, the Nebraska Public Service Commission rejected TransCanada’s planned route, forcing the company back to the drawing board. Strong legal challenges at the state and federal level continue to threaten its approval. 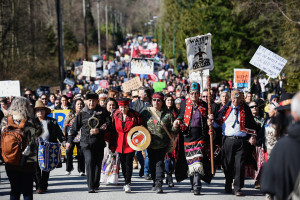 Prime Minister Justin Trudeau’s decision to spend billions of Canadian citizens’ dollars on Kinder Morgan’s canadian assets provides no certainty that the Trans Mountain Expansion project will ever get built. But it is an important reminder that energy markets are not the free, competitive, fair spaces they are assumed to be. Look closely, and it becomes obvious that government has its hand on the scale to advantage fossil fuels in nearly every aspect of their business. Absurdly low royalty rates, tax-deferrals, capital cost allowances, and assumed liabilities are just some of the many public subsidies given to fossil fuel producers. When those producers want to move their product to market, they do so often using pipelines, railways, and tanker terminals that were originally built directly by governments or subsidized with public money. Refineries rarely get off the ground without help from the taxpayer. And when all of these projects reach the end of the line, it’s the taxpayer that will pay to clean it all up. That’s why the energy transition needed to avoid the worst impacts of climate change won’t happen without an end to subsidies and without strong actions to oppose the expansion of the fossil fuel industry. Distorted markets won’t solve the climate crisis, we need coherent policy. We must begin a just and equitable managed decline of existing fossil fuel production. It’s remarkable that even with an entire system rigged in favor of the fossil fuel industry, citizens on both sides of the border have held the line. Pipeline opposition has already kept billions of barrels of tar sands in the ground. This movement isn’t about to back down now.